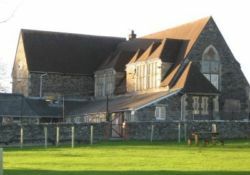 Welcome to The Devon Moors Federation's website, we hope you find all of the information you are looking for and that the website will give you an insight into the life at our wonderful schools. Devon Moors Federation is a place of discovery. Our aim is for all children to develop their talents, reach their potential and be happy during their time with us. The Federation was formed in April 2014 as the result of Chittlehampton and Filleigh Federation joining with The Mid Moors Federation. 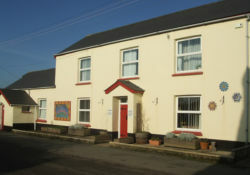 The four schools in the Federation are Chittlehampton CofE Primary School, Copplestone Primary School, Filleigh Primary School and Spreyton Primary School. We now work in close partnership to provide the best possible education for all of our children. 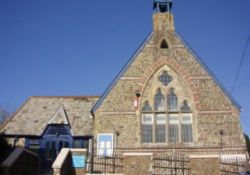 The Federation has one governing body, an Executive Headteacher and School Business Manager. Each school has its own Head of School who run their school on a day to day basis The schools share leadership and teaching expertise as well as teaching assistant skills and resources. The schools also work together on planning, moderation, trips and shared events. 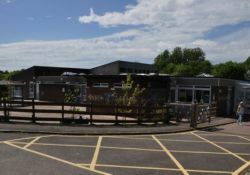 The children of all four schools have benefitted greatly from the collaboration and standards have risen since the schools have joined together. We will continue to develop our partnership into the future and strive continually to provide learning of the highest quality. Our curriculum is of a high standard providing a broad range of experiences and opportunities. Children learn through themed topics to apply their literacy, numeracy and ICT skills. We have qualified specialist teachers that teach high quality Music and French across the schools. Our after school activities also provide a range of physical and creative experiences. Our aim is to recognise each child's individual talents, we want pupils in The Devon Moors Federation to have memorable life long learning experiences. I believe our schools are very special, we have learning environments to be proud of, amazing teachers and support staff, and as a result pupils are engaged, enthusiastic and proud of their schools. At a full Governing Board meeting held on Thursday 7th December 2017 the Governing Board of the Devon Moors Federation decided to join the United School Partnership. Please follow the link below for further information.